By guest writer | April 12, 2019 | This post may contain affiliate links, which means we may receive a small commission, at no cost to you, if you make a purchase through a link. Read our Disclosure. 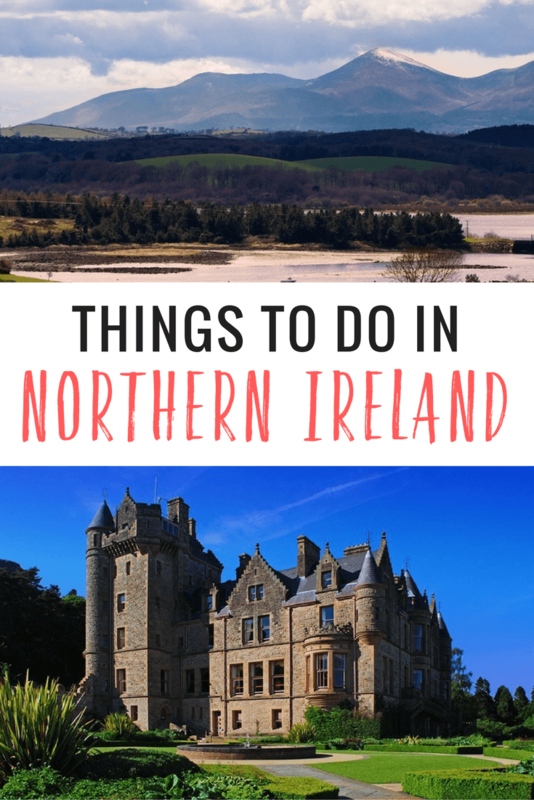 Looking for tips on things to do in Northern Ireland? As part of our city guides series, we interviewed Linda McCormich from the Eco Traveller who was born and bred in Northern Ireland. Linda is a big advocate of Northern Ireland, but because of the way it’s been portrayed by the media over the years it’s largely ignored as a holiday destination. Linda shares with us her insider tips on what to do in Northern Ireland for those looking for the best places to see, eat, stay, drink, and explore. Of all the places I have travelled in the world; all the different cultures I have experienced and people I have met, I can honestly say there’s nowhere quite like Ireland. Beyond being welcoming, friendly and funny, the people will totally win you over. You’ll find complete strangers striking up a conversation in the street, which is perfectly acceptable; scratch that, inevitable. Although it may feel strange to those used to avoiding eye contact at all costs. It’s not just about the people, of course, this was once the land of the giants; myth and legend are attached to every nook and cranny. 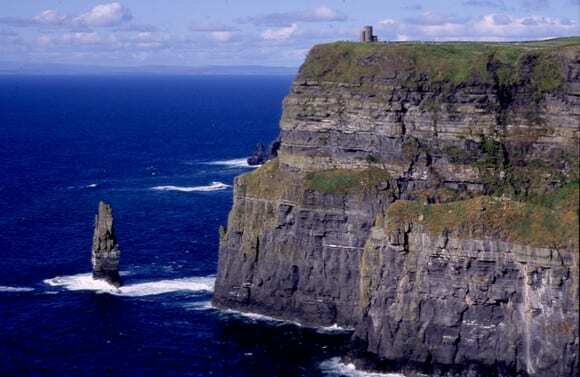 Castles and various Celtic ruins are perched along the coast and hidden inland. Mountains and lakes, glens and river valleys make this small province seem almost enchanted; you just need to ignore the old media stories and see the country with your own eyes. Considering Northern Ireland takes less than two and a half hours to cross, there’s a lot packed into this little province. It is steeped in history, oozes character and has some pretty spectacular natural landscapes, so choosing just a few things to see and do is difficult. Heading north out of Belfast towards Larne, the Causeway Coastal Route hugs the coastline pretty much all the way to Derry, on the other side of Northern Ireland. It has often been described as one of the world’s greatest road journeys, and at only 70 miles it may also be one of the shortest so shouldn’t eat into your trip if you’re short on time. If you can, take a good week to explore the coast as there is so much to see just inland as well as what’s on the shore. 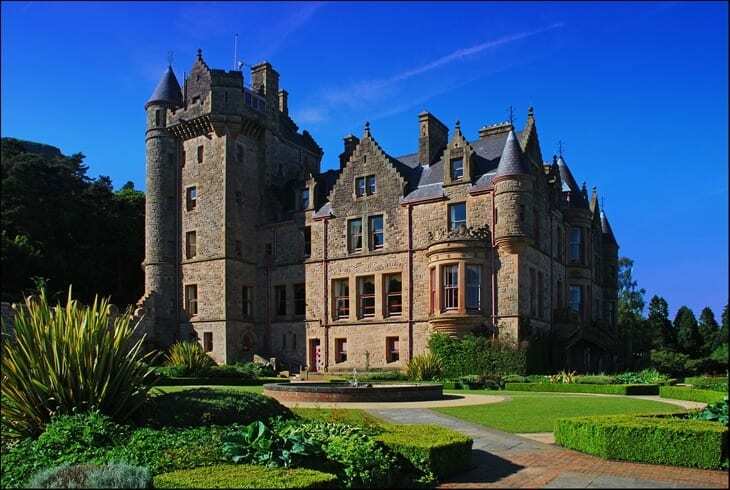 Visit the well-preserved 12th century Carrickfergus Castle on the edge of Belfast Lough, cycle through the glacial Glens of Antrim, before heading to Ballycastle, where you can get the ferry to Rathlin Island (weather permitting). On a good day you should be able to see the Mull of Kintyre in Scotland, only 16 miles across the Irish Sea. If you base yourself in and around the Giant’s Causeway, it’s easy to take in a trip to the oldest licenced distillery in the world, Bushmills. Have a wee dram or two, then head off to see the ruins of Dunluce Castle, where although half of it has fallen into the sea still remains pretty impressive. The Giant’s Causeway is easily Northern Ireland’s most visited attraction, and it’s not hard to see why. Even those people who hated geology and geography at school will be taken in by the natural wonder. Formed by lava rapidly cooling and contracting, the many-sided, interlocking basalt columns are synonymous with the UNESCO World Heritage Site; as are stories of the giant Finn MacCool, where the area gets its name. Although the Giant’s Causeway looks spectacular in any weather, sunny days are perfect for relaxing on one of the basalt columns while you dip your toes in the chilly Irish Sea. And, the Giant’s Causeway now has a new sustainable visitors centre. The seaside towns of Portrush, Portstewart and Castlerock are all worth a visit, even if just to savour good ol’ fish ‘n’chips, or take a dip. And, believe it or not, surfing is popular – even on the days when most people would need balls of steel to enter the frigid waters, men and women both! Ah the only place in the world with a handful of names. Derry, Londonderry, Stroke City, the Maiden City; call it what you wish, but know that most of the residents from the city call it Derry, regardless of their political views. And very proud they are of their history. Derry is the only completely intact walled city in Ireland, and one of the few cities in Europe to have never been breached, which is why it got the name “The Maiden City”. The walls sadly fell into disrepair during the height of the troubles, but have now been given a great face lift in view of Derry being the first City of Culture in 2013, so walking around the walls today is a pleasure. Despite numerous school trips to the Ulster American Folk Park, I’ve never tired of it. Created to tell the story of many Irish emigrants to America, the museum allows visitors to see what circumstances would have led to them leaving and how they would have made the journey, complete with a full scale sailing ship. Characters in costume roam the park and will happily explain anything visitors want to know about the great migration. These two beautiful areas are often left off people’s travel lists when visiting Northern Ireland and it’s a real shame, especially as nothing is too far away here. Enniskillen and the Fermanagh Lakes area in the south west corner of the province are an outdoor enthusiasts dream. A number of cycle routes take you past stately homes and castles, the Marble Arch Caves, with natural underwater river and waterfalls, as well as a number of essential liquid lunch spots. Go sailing or cruising on the lakes, or explore the many country parks and forests. 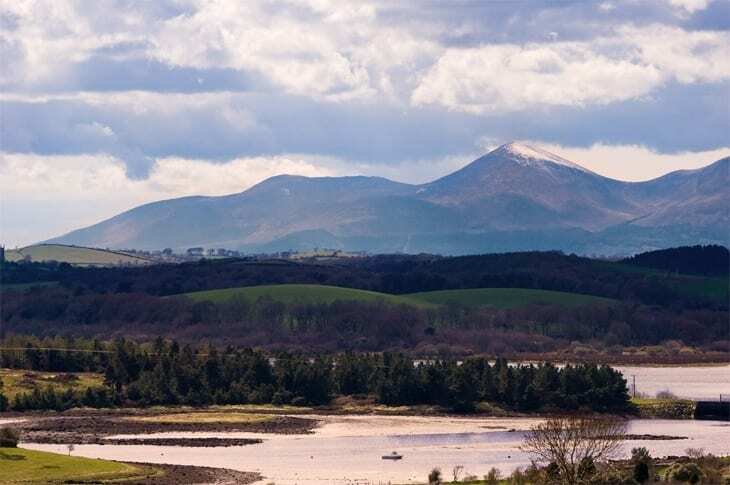 If trekking and hill walking is your thing, the Mourne Mountains in the south east will provide miles and miles of walking routes through moss ridden plains and granite out crops. The nearby seaside town of Newcastle is a great base to further explore this area of the country. And of course, you know there’s no way you can visit NI without seeing the new Titanic Belfast, a new visitor experience designed to enlighten all about the ill-fated ship and its maiden voyage. I have heard only good things. It’s easy to find coffee shops and cafes in any city in NI, but if you’re looking for some traditional foods then head to the markets in the towns you visit. Cayenne, Belfast – From the man who brought the first Michelin star to NI, Paul Rankin’s Cayenne serves great local produce at reasonable prices. It’s a great place to go if you’re fed up with fast food and looking for a treat. The Potted Hen, Belfast – For a restaurant that was voted the best in Northern Ireland last year, The Potted Hen certainly doesn’t have the airs and graces you’d associate with the label. The menu is affordable for all – yep, even for those on a backpacker budget. Clenaghans, Moira – If you’re looking for somewhere with an open fire to warm the cockles on a cold day, then head to Clenaghans in Moira, in between Lisburn and Lurgan. This picture-perfect pub and restaurant has been in business for around 250 years, so oozes the charm and character many look for in an Irish pub. It also has accommodation so you can use it to explore the local area. Café Maud’s, Lisburn Road, Belfast: Maud’s is legendary for serving the best ice-cream, ever. Now they’ve opened a café you can indulge in waffles, crepes and all things naughty. Whatever you do, don’t leave NI without tasting Maud’s award-winning pooh bear ice-cream. It is an extra creamy vanilla ice-cream with chunks of home-made honeycomb blended through it. How can you possibly narrow down just a few places to drink when there are more bars than shops in some of the small towns in the north of Ireland; or pretty much anywhere in Ireland, really. The Crown Bar in Belfast is probably the most famous bar in NI. Standing on the same spot for 150 years, The Crown retains the old charm and character of a Victorian gin palace and still has the old snugs, where tables are hidden behind stained glass walls so customers could have a sneaky swift one, although they’ve since been renovated. It is always full, but is well worth the wait for a pint just to have a peek at the building itself. 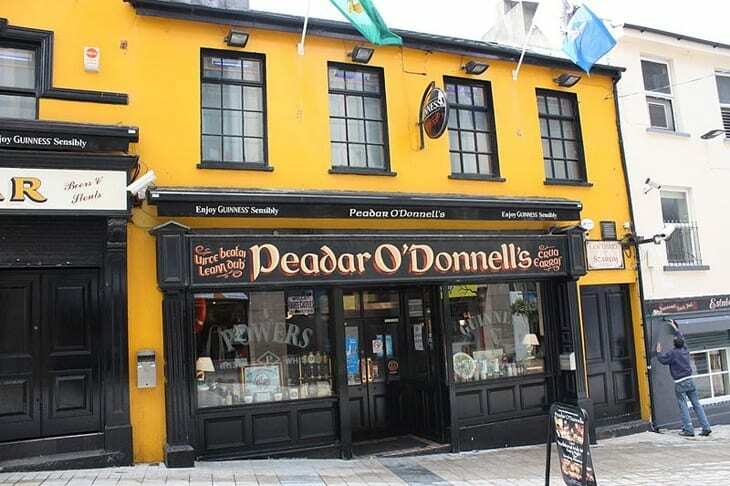 Peadar O’Donnells in Derry has got to be the best place for live traditional music. Even if you’re not that into diddly dee music I can guarantee your foot will be tappin’ by the time you finish your first pint. The adjoining Gweedore Bar has more run-of-the-mill music for when it all gets too much. Lavery’s in Belfast used to be one of my old haunts, and I still have fond memories of 50p vodkas on student nights. Ah, those were the days. I dare say a vodka would cost a wee bit more nowadays, but the crowd is still a great mix of students and locals. It’s also a great music venue, and often admission is free, so be sure to check it out. 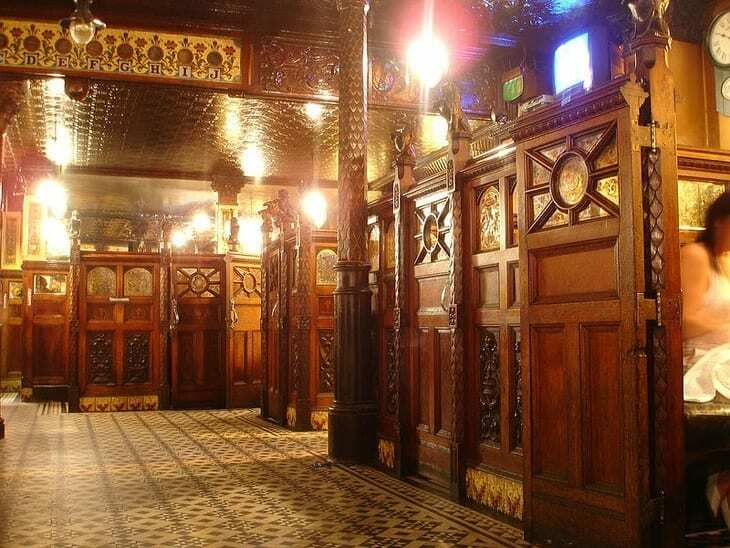 McHugh’s in Belfast is worth a visit just to see the building. It dates back to 1711, so the thick stone walls are fantastic. It’s manic at night here as it’s always so popular, but is ideal to visit during the day. Perfect place to read a book, catch up on your travel journal and sink a few. The Odyssey Arena in Belfast is a massive sports and entertainment venue that can host big name artists, stage shows and ice hockey games all on the same night. As well as a selection of bars and restaurants, there is a 12-screen cinema, science exhibition centre and IMAX, so you’re bound to find something to keep you entertained for a night, or three. Mainstreet Omagh is always bustling. Four venues on the street, each with their individual slant make up the complex. Here you can enjoy pre-show dinner and drinks, enjoy a night out carnival-style, ‘ave it large in the Mantis nightclub or just sit and relax in front of an open fire with a pint. The Grand Opera House in Belfast always has something on, whether it’s a touring West End musical, panto or gig. The Millenium Forum is Derry’s GOH equivalent. 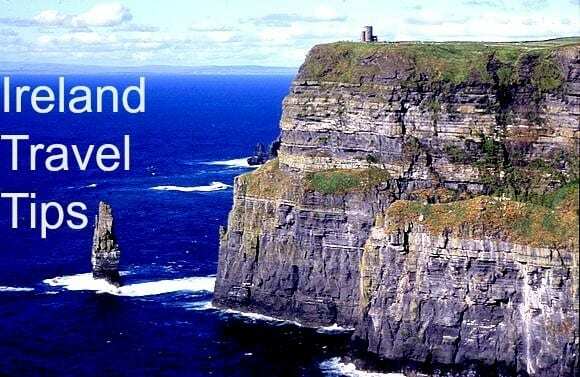 Downhill Hostel, Castlerock – If you want to experience everything the Atlantic Ocean can offer, then seek out this little hostel sitting at the foot of the cliffs, spitting distance from the north coast’s longest beach. Derry City Hostel – Crazy, but true, if you decide to stay here there is no set fee, you can pay what you want. All they ask is that you stay for at least two nights so you can explore the area. Belfast International Youth Hostel – Just across from Europa Bus Centre you’ll find one of Belfast’s more popular hostels. It’s open all year round, and has doubles with ensuite, twin rooms and dorm rooms accommodating up to six people. The Causeway Hotel – An obvious choice if you’re planning to explore the Antrim coast and what it has to offer. Alternatively, stay in Portrush nearby where you’ll find at least a hundred or so BnB’s and guesthouses. Portrush is small, so just drive through the town to check for vacancy signs outside the houses. You’ll need to book in summer, though, when most of the rest of NI likes to pay ‘the Port’ a visit. Belle Isle Fermanagh – If you can afford it, book a night at the Belle Isle. It is such a beautiful old 17th century castle, set in 470 acres of land on its very own island. You can stay in an apartment or cottage on the grounds and investigate the castle and surrounds. There are a number of Farmer’s markets on throughout the province every weekend, so be sure to ask where you’re staying when the next one is, or check on the Discover NI website, where they have the markets and days they’re on listed. St George’s Market, Belfast, nominated as the Best Food Market in the UK, St. George’s Market has been a highlight of the NI food scene since 1890. Set on a prominent corner plot on East Bridge Street near the city centre, this is the place you should try and get to above any other foodie joint if you want to savour the local produce, although it’s a popular place to buy international foods, too. Belfast is probably the best place to shop in Northern Ireland. Here you’ll find all the big high street names, as well as some smaller boutiques. Lisburn is also becoming known as a good shopping town with two large complexes to wander around, but if you’re looking for quaint and quirky, head to the Craft Village in Derry. I’m sure most visitors to the north of Ireland know about the 12th of July, as it usually makes the headlines when marchers clash en route with protestors. It’s news like this that puts people off visiting the country, but it shouldn’t. The Twelfth, as it’s affectionately known in NI, commemorates the Battle of the Boyne, when, in 1690, William of Orange conquered the Catholic King James. Protestant Orangemen march every year still to celebrate the victory – yep, even now. The problems arise when they march through stronghold Catholic areas because that was the original route of the first marchers in the 1790s. As always, the trouble is generally confined to a few small pockets across the province, so unless you’re a staunch follower of the celebrations, don’t fret. Auld Lammas Fair in Ballycastle has been held every year on the last Monday and Tuesday of August for around 400 years. If you go to this traditional harvest fair, you’ve got to try ‘Yellowman’, a NI version of honeycomb. Heaven. 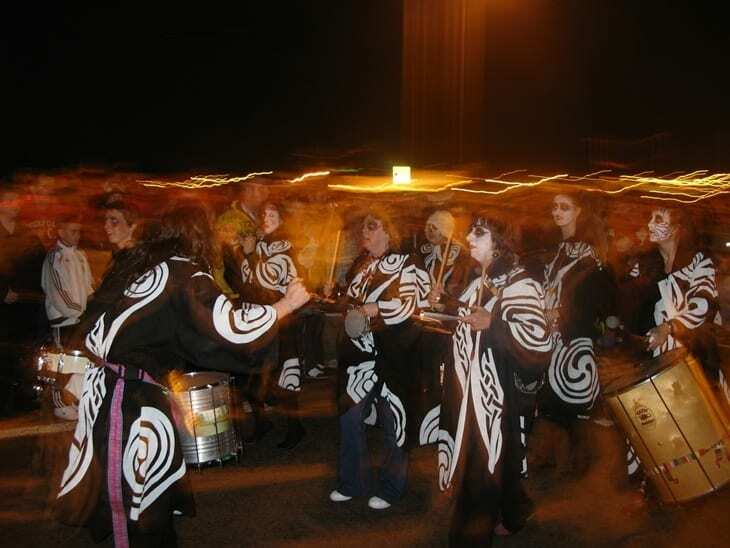 Halloween is huge in Northern Ireland, well, it is an old Celtic pagan festival after all. And believe it or not, the biggest Halloween festival in Europe is held in Derry. Bands, fireworks and fancy dress parades draw crowds of up to 40,000 people every year. Hillsborough International Oyster Festival is held the first weekend in September in the quaint village of Hillsborough. If you fancy your chances at becoming the next World Oyster Eating Champion, then you know where to go. Hilden Beer and Music Festival is held at Hilden Brewery in Lisburn, Co Antrim on the last weekend of August. Being the oldest independent brewery in Ireland it’s a popular drinking spot and when the sun shines the beautiful old 19th century courtyard is the perfect place to sink a few, festival time or not. The bus network across Northern Ireland is excellent, with many connections between the larger cities running frequently. The buses are very comfy too – most of them are coaches, and some double decker. Driving is also easy due to the size of the country. It seriously only takes about a few hours to cross; about 1hr 30mins between the two main cities of Belfast and Derry. There are only two motorways – one between Derry and Belfast, the other from Belfast heading to Dublin, which is only two hours away. Local trains aren’t too bad, and although there are trains between Belfast and Derry because the line follows the coast it takes 2hrs 20mins – great if you have the time to travel, not so good if you’re on a tight schedule. Still, I would highly recommend doing it as the scenery is pretty spectacular. A lot of cafes and coffee shops have free Wifi, especially around the University areas. You’ll also find it at some restaurants. Where it’s not free, you can usually get it when you buy a coffee. Wifi is also free aboard the Airporter coaches/shuttle service between airports. It really depends what you’re looking for. If you’re after some good times and general mayhem, then I would visit around Halloween; it really is great crack then. There’s a good chance of a white Christmas in December, and if it’s sun you’re after, erm, well, you might have to pray to Lady Luck. Northern Ireland’s weather is notoriously wet, but then that’s what makes it so green and such a beautiful country to visit. August and September are usually the sunniest months, but it’s hard to guarantee they’ll be dry. Still, as they say in Ireland, “It never rains in the pub”. A number of cheap airlines fly into Northern Ireland daily from mainland UK and the Republic of Ireland. The usual suspects are low-cost airlines Ryanair and Easyjet, although the cheapest flights are usually very early in the morning, which makes getting to outlying airports in connecting cities quite difficult – many of the first trains don’t depart in time for you to clear security at the airport. There are a few ferries from mainland UK, too: one from Stranraer, in Scotland, to Larne, which is just outside Belfast, and one from Holyhead, in Wales, to Dublin. From Dublin it’s an easy two hour drive or train journey north. Make sure you have a Harp, lager that is. It’s brewed in Ireland and tastes totally different than anywhere else in the world. Much better! If a pub looks so small it could be someone’s living room, it just might be, but they’re the best places to meet the locals with a bit of a story. You’ll find a lot of bars are opened until late and start charging a small fee after 10/10.30pm to get in. It makes it a pain if you’re only looking for ‘one more’ drink, but great if you’re set on being out for the night. Find a place that’s open late, make sure you’re in early and get comfy for the night. It has an endless push-you-pull-you effect. The grey, wet days can get you down, but the people, the crack, the rugged beauty of the place has a way of outshining even the most miserable of days. BIO – Linda McCormick is the founder and editor of Eco Traveller Guide. Here she shares her passion for ecotourism, green travel and very cool travel pics. As a fan of slow travel Linda plans to spend the next few years getting to know Australia a bit better. She’s always keen to meet like-minded travellers who love nothing more than sharing a good story and a few bevvies, so if you’re in Oz get in touch! Say hello via Eco Traveller’s Facebook page, or on Twitter. Thanks for sharing this post. I think I should visit Northern Ireland. By reading your post I am eager to visit this place. Sadly, in all my travels, I’ve never been to Ireland. It’s true isn’t it that in the rush to travel the world your own country can be somewhat neglected. I’d love to visit one day, and tour around, and this great blog post is something that I’ll definitely book mark for future reference. Thanks for such an in depth guide. Wow Jo! Can’t believe you’ve not been to Ireland! I suppose I haven’t been to Tassie. I stayed in the Downhill Hostel in Castlerock and it was lovely! Hostel prices, but B&B feel. The owners were nice and introduced me to hot toddys when I got sick. 🙂 Meeting and travelling with other backpackers who had rented cars was much better than doing Northern Ireland by train, as I had planned. It’s such a great little place, isn’t it? And I agree, doing NI by road is better – there just aren’t enough train lines, so you wouldn’t see very much. I love Northern Ireland. I suppose all McCools do. One highlight for me was visiting our ancestral homeland in Toberhead, near Magherafelt. The stone house still stands from the 1670s. One place not covered in this excellent, comprehensive article is Carrick-a-Rede rope bridge. That is spectacular. Thanks for your kind words about the article. I did think about putting in a snippet about Carrick-a-Rede, but figured it’s one thing that so many people already know about, and really just couldn’t fit everything in… otherwise you’d still be reading! Still, I agree, it’s a definite must-see. Hello! My husband and I will be visiting Northern Ireland for a short 4 days this week. Can you give us your recommendations to get the best things in, without going all the time. We have not decided whether or not to rent a car, or to take the rail system. I appreciate all your help! We don’t really have the insights to help you out with this Kendra unfortunately. All we have is what is in this post. Try googling and see what comes up. Good luck! I wonder what planet the auther lives on? I live in sterangford and if I want to get to derry it takes me closer to about 5 hrs to get there! We have over 4and a half thousand square miles, and u can do long driving distances here, remember you have to drive back as well and there are awkwardx b roads a roads etc to navigate ans a huge number of dual carraige ways, and only two motorways? Is she serious? I don’t knoiw how she has travelled here or how fast but its more dense with roads, you can’t do northern ireland in an hour and a half, its taken me and my husband over three nmonths to discover 3 quarters of northern ireland and we still haven’t traveresed the strabane and fermanagh area yet. It takes time to properly do every thing and the cpoast drive is actually 120 miles total, the ulster way walk is 675 miles circumference and takes a long time to do, one of the sperrin mountain driving routes is over 90 miles then you’ve to get there then back. No country is ever that small. “If you can, take a good week to explore the coast as there is so much to see just inland as well as what’s on the shore”. Lovely article thanks on the wonders of Northern Ireland, in my opinion the Causeway Coast is the jewel in our crown!! Loved the article thanks, the Crown pub is quite an experience in Belfast and you can`t beat the Causeway Coast. Thanks for sharing this. We are planning a trip to Northern Ireland pretty soon so a lot of these tips will come in handy. I especially want to drive the causeway coast because every time I see a picture it just looks fantastic. What a great guide – really the ultimate guide that I’ve seen to NI! As we’ve been living in Ireland for a year now, we do get up to Northern Ireland sometimes. Mostly to Belfast, which is a lovely city. It’s not the easiest to get any further when you’re only going for a day or two, otherwise you’d spend most of the time travelling! Next on my list is to go to the Ulster American Folk Park. We loved the Causeway coast when we went last month. We loved Giant’s Causeway especially and wrote a blog about it too actually, it’s on our website.